A paper by (Dr) Ben Brown, entitled “Reversible Conductive-AFM Patterning of Organic Semiconductors” was accepted by Small! The study outlines a conductive-AFM redox-writing (cAROW) technique, and show that it is possible to locally, and reversibly, pattern conducting and non-conducting features on the surface of oligo(aniline)s.
This project was done in close collaboration with Dr Loren Picco and Prof Mervyn Miles FRS, from the Nanophysics and Soft Matter group in School of Physics. It is obvious from the image that Ben (now working for GE in Bristol) was sponsored by the BCFN! Bristol is a great city to live in … and if you are curious to experience a bit of Bristol (before visiting! ), then follow one of these links and be welcomed to Bristol (on Vimeo or Youtube, thanks to the efforts of Jamie Brightmore)! Enjoy! Esther and Ben are at the ESRF in Grenoble, doing some scattering experiments with former FRG member Dr Tom Dane (from beam line ID13), and long-standing collaborator and friend Dr Patrice Rannou. 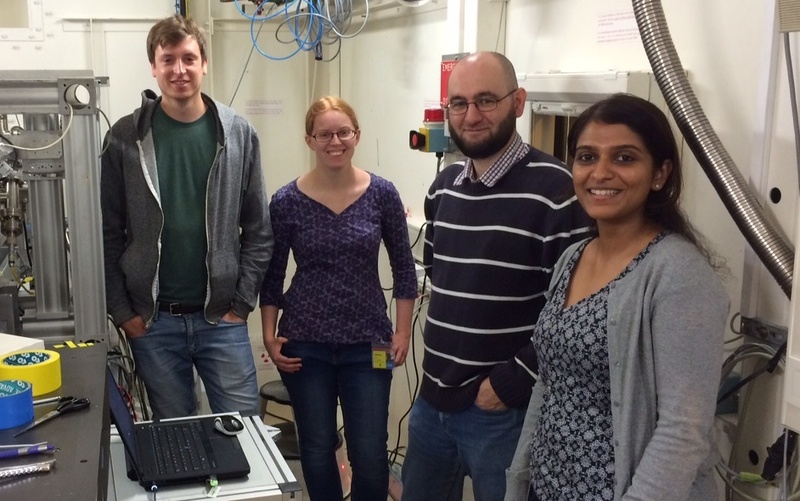 Here an (almost) action shot at the beam line taken by Ben, with Tom, Esther, Patrice and Meera (postdoc in Patrice’s group). Not only did we celebrate Pete‘s birthday (congrats! ), but the final year PhD students also gave talks within the School of Chemistry last week. Ben, Carl and James all gave excellent talks. At the wine reception at the end of the day Professor Paul Pringle (Head of the Inorganic and Materials Chemistry section) announced that Ben was one of two prizewinners for the day! Well done Ben! Rico, a graduate from Bristol, returned to the chemistry lecture theatres to give a lecture rather than receive one! 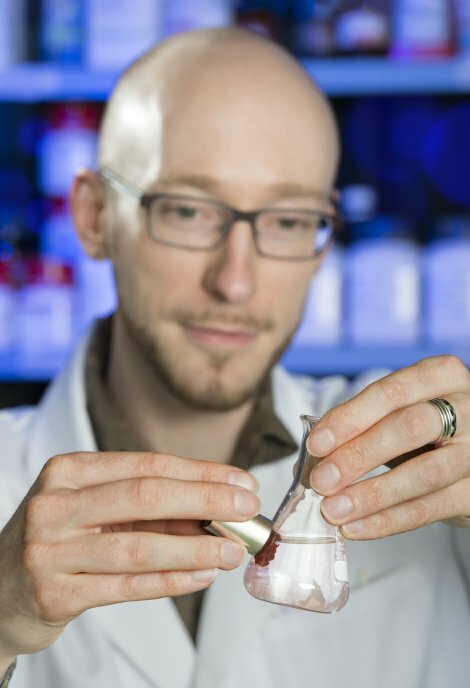 His talk on functional, fluorinated and unconventional surfactants highlighted his group‘s current research at the School of Chemistry, Monash University, Australia. It was fantastic to have a great academic visit the department and interact with the group! Graphene Oxide Template Paper Published! Congratulations to Alex and Becky from the Faul and Hall groups respectively for getting their joint work on graphene oxide templates published in CrystEngComm! The paper (here) describes the first use of sacrificial graphene oxide templates for structural direction of yttrium barium copper oxide (YBCO) superconductors.